We Asked Portlanders to Tell Us About Scooter Riders Behaving Badly. Instead, We Got Tips About Cars. 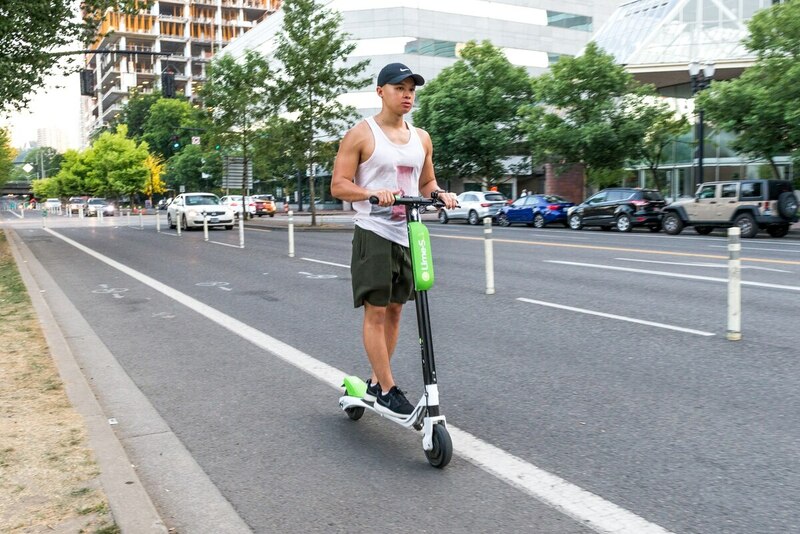 Last week, dockless electronic scooters arrived by the hundreds on the streets of Portland. These rental scooters have been the target of widespread ire in California cities where they've launched. So WW asked readers on Twitter to send reports of questionable scooting choices to scooters@week.com. Alternative transit activists seized the opportunity to remind us that, in their view, the real menace on Portland's streets are cars. In dozens of sarcastic emails, respondents reported bad driver behavior. WW received one tip about scooters. Ramtin Rahmani: "Maybe you could name and shame some drivers with license plates! Lunch is on me if you find out someone on a scooter who killed someone. Good luck on your story!" Robert Boler: "Today I watched three people in front of me nearly get sideswiped by a pickup driver who wasn't looking for them. Immediately afterward, a slick young dude on his phone nearly hit me from the safety of his truck. This was on a sidewalk. So yeah, scooters are a menace." Garrett Downen: "A scooter aggressively revved up to me in a way that made me fear for my life, then almost right hooked someone else to death. Oh wait, it was a car, a vehicle that chokes our climate and our streets, and literally kills a Vegas shooting's worth of Americans each day. Leave the active transportation bashing to Fox News and The O." Paul Frazier: "I enjoy reading your paper and really think you should spin scooters in the positive light they deserve. Sure there are some items in the cons column, but when you look at the pros compared to cars they are part of a multimodal electric mobility revolution. What would you rather have driving by your kids, friends, partner?" Aaron Ilika: "I saw at least two people riding scooters in the bike lane on Ankeny today. They were wearing helmets and moving slowly at roughly 5 mph. The horror! We must stop these death machines." Mike McCaffrey: "Please cover the social good that the scooters are providing instead of just churning out more lazy reporting about how scooters can be misused by some individuals." Reed Buterbaugh: "All road users make mistakes, but only people on scooters have a dedicated email for their mistakes." Brad Baker: "While going along Better Naito, I saw pedestrians walking in the bike lane. Bikers were forced to go around them. I also saw pedestrians jaywalking at unmarked crossings. This forced the motor vehicles to have to slow to let them cross. Major inconvenience." K Rosen: "I was almost killed by a semi making a rash lane change. But I'm much more upset that there was a scooter on the sidewalk last week marring the perfect expanse of virgin concrete. Damn, someone could trip over that urban menace." Joshua Rogers: "Thanks for protecting us from the real menace, People On Scooters. Enjoy doing whatever dogshit you call journalism."